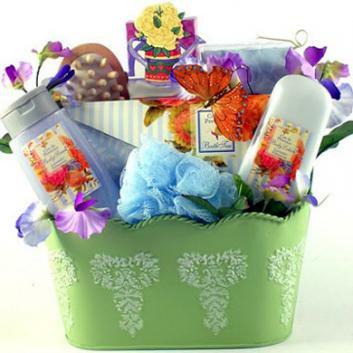 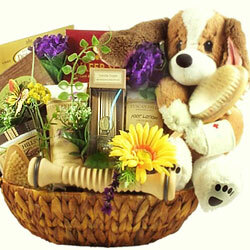 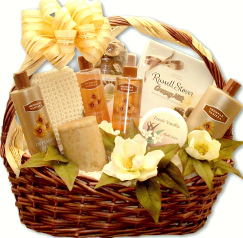 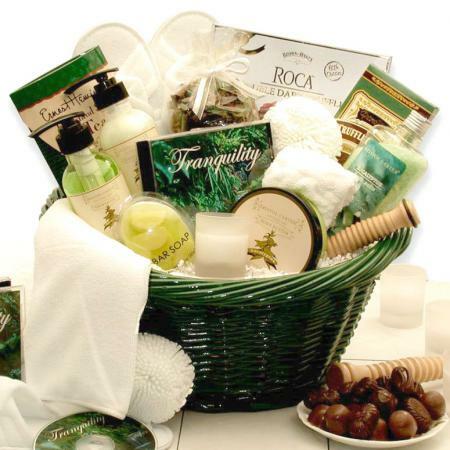 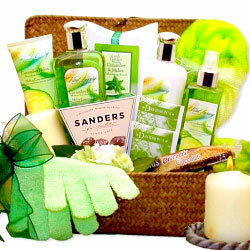 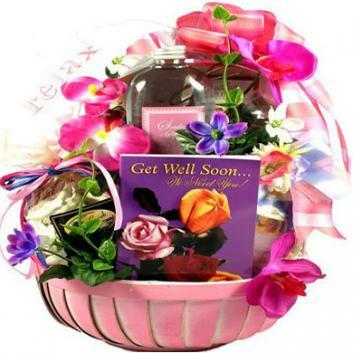 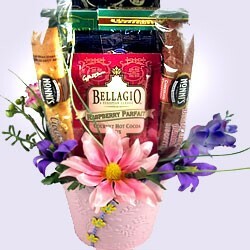 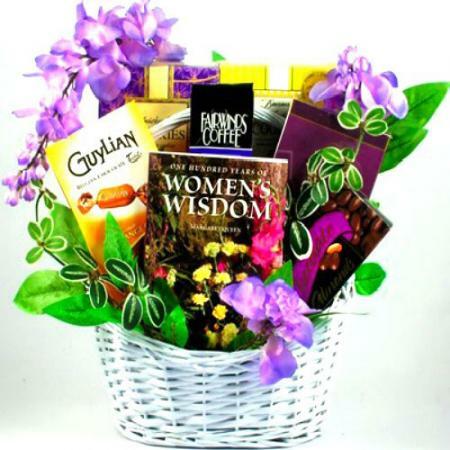 Lovely gift basket for women features One Hundred Years of Womenís Wisdom plus goodies and gifts. 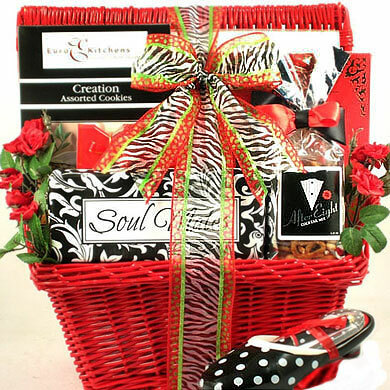 A stunning gift for every special woman. This beautiful gift basket for women features a book titled "One Hundred Years of Women's Wisdom" filled with fantastic quotes and poems that range from wise to witty to down-right hysterical. 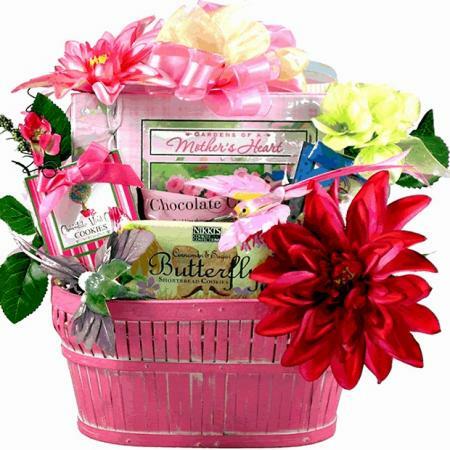 Trimmed with life-like silk flowers, ivy and topped with a designer bow. 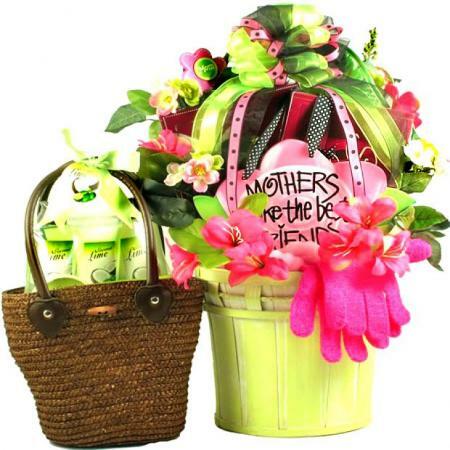 It's a stunning gift for any special woman!